Spring is one of my favourite seasons (along with summer, winter and autumn!) The woods are erupting with green buds wherever you look, complemented by the colours of the spring flowers. 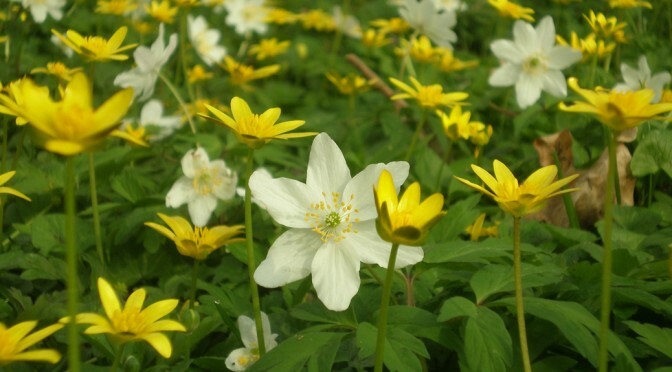 The Primroses look so pretty with their delicate yellows and the wood Anemones form lacy cushions on the forest floor. The first butterflies are on the wing, waking from their winter sleep. I was just saying to a friend the other day that I had not seen a Brimstone yet this year when one fluttered past our noses – as usual seeming to be on a mission! It is a time of hope and new life. 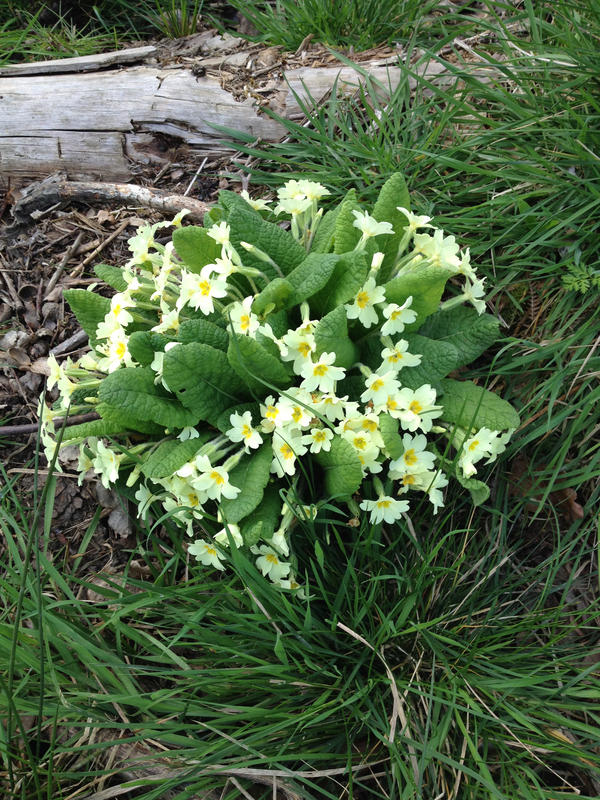 A colourful posy of Primroses in Bourne Woods. When the children were small there would be great excitement when visitors were expected, with repeated questions “are they going to be here soon?” I find myself now with the same thoughts as we wait for the summer migrant birds to arrive. When walking in the wood in March I have an ear half- cocked open listening for the first arrival, usually the Chiffchaff. Last year, with the cold weather, the first I heard was on 7th April. However, this year it was the 11th March! The question is… how do they know what the weather is like here and when should they migrate? Or do they come at the same time every year and not proclaim their presence with their calls? Pondering time over, I had better take the dog out again- a suitable excuse to check if the next group of birds are here! It is usually the Willow-Warblers and Whitethroats.